This Genki Bluetooth adapter for the Nintendo Switch is such a good idea that it’s surprising a third-party accessory manufacturer hasn’t already released a similar dongle. The adapter allows any set of Bluetooth headphones to pair with Nintendo’s console, according to the device’s Kickstarter page. The pint-sized device connects to the Switch via USB-C, which avoids the latency issues 3.5mm headphone jack Bluetooth solutions often suffer from, according to the company behind the accessory. Further, the Genki doesn’t feature an external battery and includes Bluetooth 5 functionality — it’s even possible to connect two pairs of headphones together for multiplayer sound. The company behind the Genki is also selling an optional accessory that allows the dongle to be plugged into the Nintendo Switch’s dock. 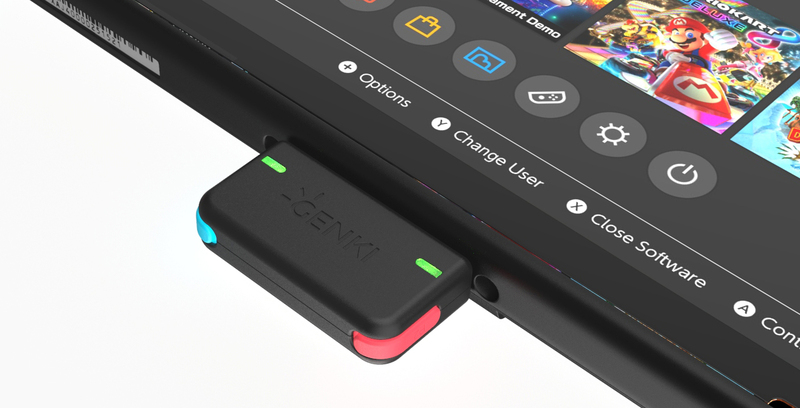 Though the device’s Kickstarter campaign features a variety of different tiers, the base level, which includes the Genki adapter, is priced at $39 USD (approximately $51 CAD). For an additional $10, coming to a total of $49 (approximately $64 CAD), you can also get the Genki and the dock adapter. Genki’s Kickstarter has earned $379,116 USD, a number significantly over its $39,618 goal, with six days left to go in the device’s campaign. I’ve always viewed the fact that the Switch doesn’t feature built-in Bluetooth connectivity as a strange move on Nintendo’s part, but thankfully clever accessory manufacturers are around to fill the void. I’m hoping to get my hands on the Genki in the near future and plant to test them out with Apple’s AirPods. I’ll report back my findings regarding how the accessory performs.